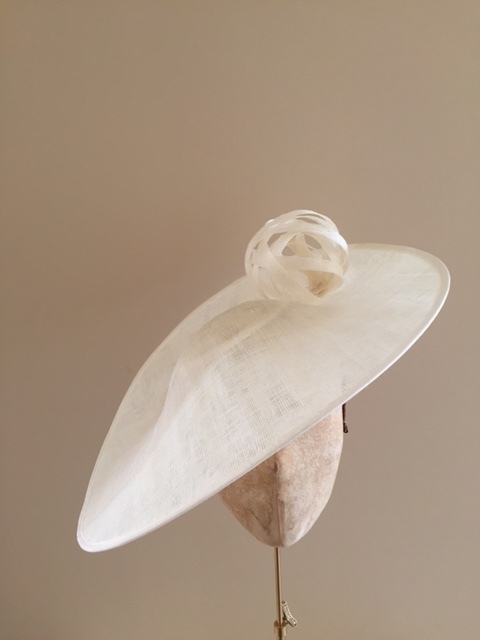 18″ sinamay dish with a sinamay twirl on the back outter edge. 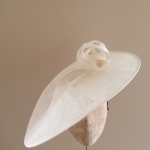 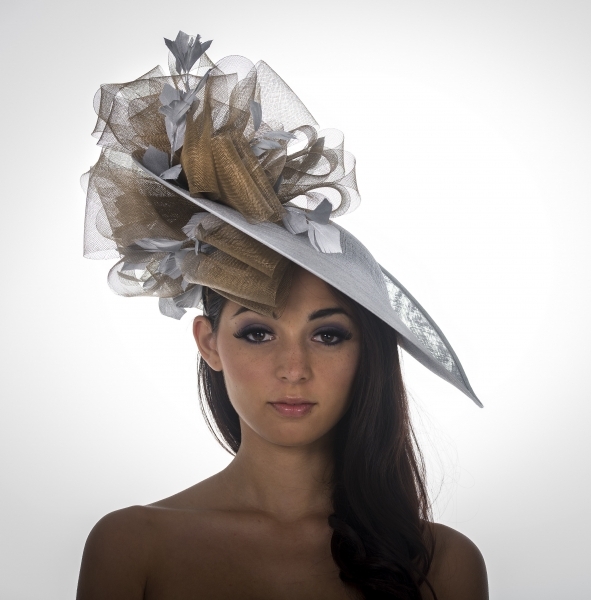 A simple but stunning hat which comprises of a large 18″ sinamay saucer with a single binding ball fixed to the outer edge. 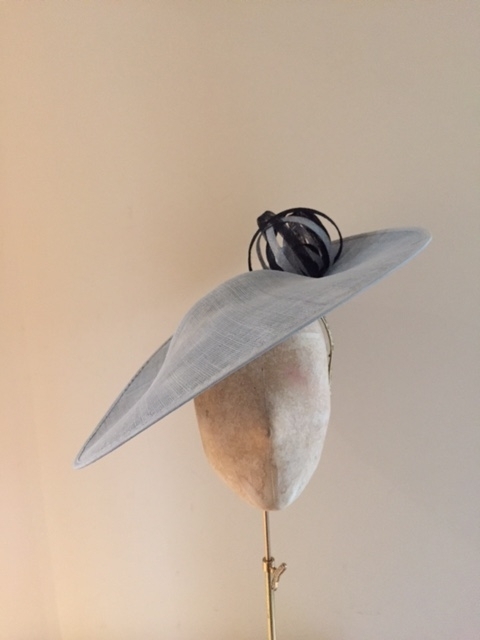 The Pear dish hat is attached with a head band which, as with all our hats can be colour customised to blend with your own hair colour at no extra cost. 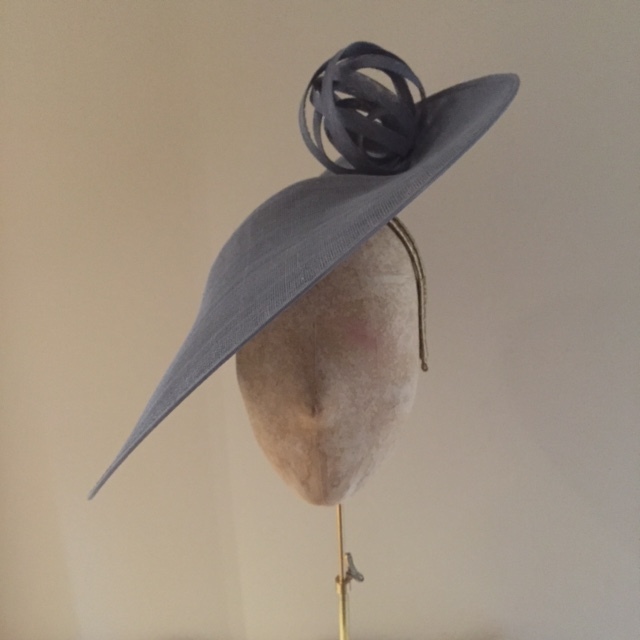 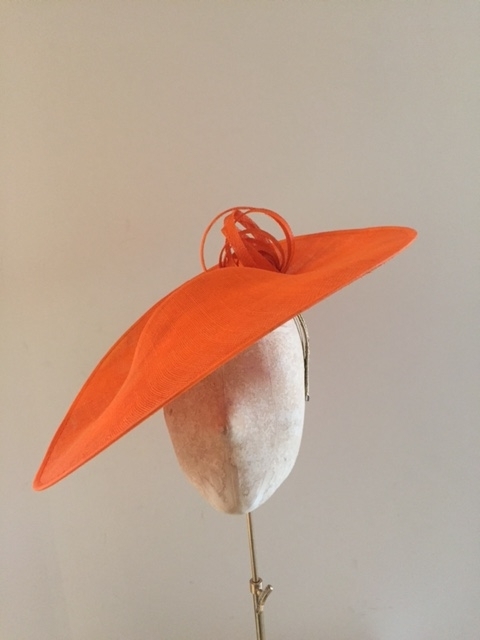 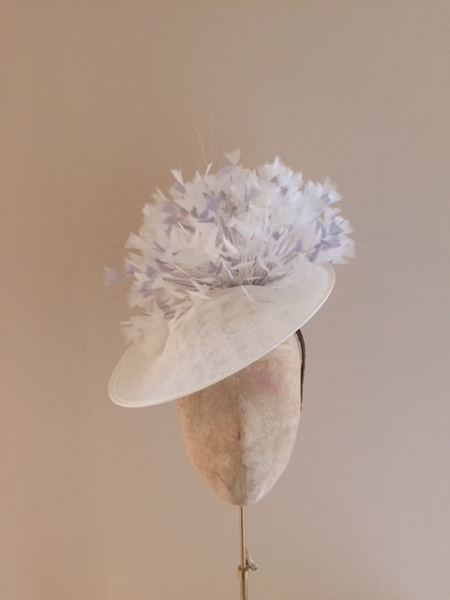 This hat could also be made with the binding ball in a different colour to the base of the hat to add a little contrast to your look. 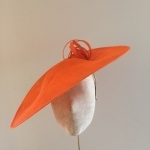 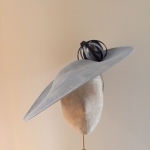 If you are unsure of which colour to select, please choose the option of a colour consultation rather than selecting the colours from the chart and then go on to purchase your hat. 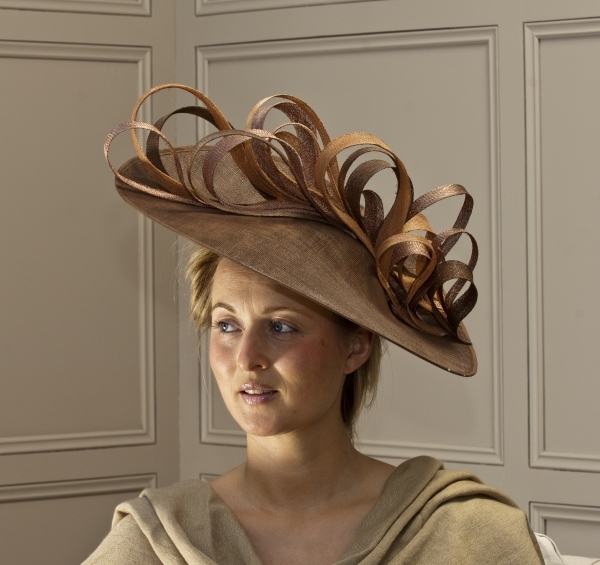 We will then get in touch to offer our advice.